Newswise — A commonly held belief among the general public is orthodontic treatment will prevent future tooth decay. Research undertaken at the University of Adelaide has found that this is not the case. 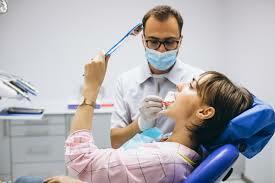 Published in the journal Community Dentistry and Oral Epidemiology the study, conducted by Dr Esma J Dogramaci and co-author Professor David Brennan from the University’s Adelaide Dental School, assessed the long-term dental health of 448 people from South Australia. “The study found that people who had orthodontic treatment did not have better dental health later in life,” says Dr Dogramaci. “By the age of 30 over a third of participants had received orthodontic treatment,” says Dr Dogramaci. “Evidence from the research clearly shows that people cannot avoid regularly brushing their teeth, good oral hygiene and regular dental check-ups to prevent decay in later life,” says Dr Dogramaci. The research was carried out by the Adelaide Dental School, and the Australian Research Centre for Population Oral Health (ARCOPH), the University of Adelaide.